Protect yourself from potential police misconduct during stops, arrests, and questioning. “Unconscious bias,” “excessive use of force,” and “civil rights violations” are all phrases you have probably heard on the news or on social media over the past few years due to high-profile police brutality cases in Ferguson, Baltimore, and New York. Here in Cleveland, these issues have been at the forefront since the 2014 death of Tamir Rice, an unarmed African American boy who was shot by a white police officer. In response to this and other instances of alleged misconduct, the U.S. Department of Justice issued a scathing report on the Cleveland Police Department’s pattern of excessive use of force. Fortunately, the department is in the process of reforming and working to repair its frayed relationship with the communities it serves. It’s natural for emotions to run high in circumstances such as these. You may find yourself worried about any future interactions you may have with the police. Knowing in advance what your rights are will help to protect you the next time you are speaking with a member of law enforcement in Cleveland or elsewhere in the country, whether it is during a routine traffic stop, or you are being placed under arrest, or you are being formally questioned about a criminal offense. What are “civil rights” and who has them? The term “civil rights” refers to the rights of individuals to receive equal treatment and to be free of discrimination in a number of areas—including education, employment, housing, and many others—based on certain legally-protected characteristics, such as gender, race, religion, age, disability, and sexual orientation. A person’s civil rights also protect his or her individual freedoms from infringement by the government, social organizations, or other individuals, and ensure that he or she is able to freely participate in civil and political life. Every citizen and resident is entitled to certain rights as defined by the U.S. Constitution, the supreme law of the land. 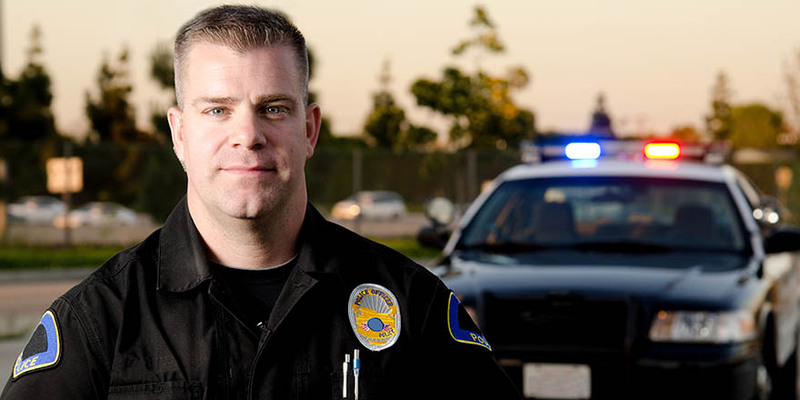 What are my protected rights when dealing with law enforcement? In public places, a police officer may stop any person whom he reasonably suspects might be committing a crime (i.e., if the officer has “probable cause”); this suspicion must be based on specific facts that could be presented to a judge rather than just a “hunch” or “gut feeling.” One exception is DUI/OVI checkpoints; however, even here, officers must follow a logical process for stopping cars (i.e., every fourth car, etc.) and can still only detain those they reasonably suspect are intoxicated. An officer may ask a person to voluntarily stop and talk with him during a consensual encounter. If you are unsure whether you are under arrest, you may ask the officer; if you are not under arrest, you are free to leave at any time. During a stop, an officer may ask you to provide identifying information such as your name, birthdate, and address; it is illegal to provide false information to the police. You do not have to answer any other questions. For their safety, an officer may pat down your clothing to check for weapons; this is called a “frisk.” If an illegal weapon or substance is found, the officer can arrest you. Officers are allowed to confiscate anything from your vehicle that is in plain view. However, in order to search your trunk or glove compartment, they must either have your explicit consent or a reasonable suspicion that they will find something illegal there. Otherwise, they must have a search warrant from a judge. As opposed to in a consensual encounter, an individual who is under arrest is not free to leave; he is therefore in “police custody.” Specific arrest rules vary by jurisdiction. An officer can make an arrest in a very limited number of circumstances, including: after personally observing a crime; after having tangible evidence to believe a person committed a crime; or after obtaining an arrest warrant from a judge. The police are allowed to use a reasonable amount of physical force to safely take a person into custody, taking into account the severity of the crime committed, whether the suspect poses a threat, and whether the suspect is attempting to flee. Because of this, it is important to never resist arrest or argue with police. Officers are authorized to use deadly force only if they have probable cause to believe a suspect poses a threat of serious harm to themselves or others. You may be questioned either at the scene of the arrest or at a police station. Regardless of location, an officer must read you your Miranda rights before asking any questions. You are probably very familiar with the Miranda warning from films and television; it outlines your constitutional rights to remain silent and to have an attorney present during questioning. You can refuse to answer any question at any time. Keep in mind that anything you say in the presence of a police officer can be used against you, even personal conversations over the phone or with other detainees. Police must stop questioning you if you request the presence of an attorney. It is extremely important that you engage a criminal defense attorney as soon as possible to protect yourself from self-incrimination. What should I do if I think my rights were violated by the police? If you believe your rights were violated during arrest or interrogation, you should consult a defense attorney right away. It is possible for the charges against you to be thrown out if a lawyer can prove that police misconduct occurred. For example, if a search was made illegally or your Miranda rights were violated during interrogation, any evidence gathered by the state under these circumstances cannot be used against you in court. Our country’s civil rights laws are valuable tools that protect citizens from abuses by the government. Armed with the knowledge of your rights as an American, you can confidently and safely face law enforcement in the future.